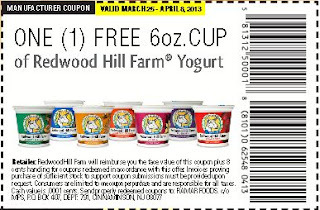 Get one Free yogurt cup from Redwood Farms. Click the link below to got to the Redwood Farms website to get the coupon. Offer valid March 5th, 2013- April 8th, 2013.